As we age, gravity, sun exposure, and the stresses of daily life become apparent on the face and neck: deep creases appear next to the mouth and the jaw line becomes less defined. Face and neck procedures are designed to reduce the loose look of sagging skin in and around the jaw line. Performed frequently in conjunction with other facial rejuvenation procedures such as an eyelid lift or brow lift, face and neck lifts can bring you back that youthful shape, and produce the defined profile many male patients desire. Small inconspicuous incisions are made behind the hairline and in natural folds of the face and ears, with scars disappearing almost completely over time. Most men know that that diet and exercise are good ways to lose weight and tone muscle, but, unfortunately they often find that the body the desire is unattainable. Stubborn fat deposits can conceal muscles underneath. 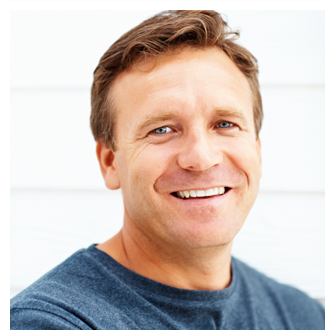 Liposuction can help men improve what they work for on their own. Dr. Olson will conduct a thorough examination to ensure you are a good candidate. The procedure requires a number of small incisions, but these short incisions typically heal well, leaving only faint traces. Several areas can be treated simultaneously, however it is important to remember that liposuction is not a weight loss technique, and should be used in conjunction with a healthy diet and exercise. A one-on-one consultation with Dr. Olson is recommended to assess candidacy for these procedures. Surgery for gynecomastia or enlarged breasts in men is one of the most frequently sought operations by males. Patients may perceive it as an embarrassing condition, and it commonly forms a trio with stomach "pouches" and love handles. The condition usually starts in men in adolescence and it may not respond to diet and exercise. The procedure removes excess fat and/or glandular tissue and sometimes excess skin from the breasts so that the chest has a more masculine contour. Men can often return to work within a few days, and normal activities within a few weeks.